The first two times the National High School Athletic Coaches Association selected Mike Bankemper as a finalist for Coach of the Year in wrestling, he made trips to conventions in Wisconsin and Iowa and came home without the national award. On Wednesday, the veteran Campbell County coach finally got the recognition he deserves when he was named Coach of the Year at this year’s NHSACA convention in Louisville. Bankemper’s list of accomplishments in 34 seasons as Campbell County’s head coach includes four state champion and five state runner-up teams. He had 55 wrestlers reach the state finals and 25 of them won weight class titles. Eight of his team members went on to wrestle for NCAA Division I college teams. One of Campbell County’s former wrestlers is Austin Myers, who won the 220-pound weight class at the National High School Wrestling Championships three consecutive years. The national award is also based on a coach’s involvement in organizations that promote their sport. Bankemper has been a board member for the Kentucky Wrestling Coaches Association and he served on the Kentucky High School Athletic Association’s wrestling advisory committee. Bankemper also conducts a junior high wrestling program for the Campbell County school system and offers a wrestling camp during the summer. His year-round commitment is a key element to his level of success on the high school level. Brendan Meyer, a state champion swimmer for Covington Catholic High School the last two seasons, is making an impressive debut in the U.S. Olympic Trials this week in Omaha, Neb. On Sunday, Meyer placed 23rd in the men’s 400 freestyle with a time of 3:55.35 during the preliminary heats. Two days later, he placed 18th in the men’s 200 butterfly prelims at 1:59.18. Meyer, who will also compete in the 1500 freestyle event on Saturday, is one of six Northern Kentucky Clippers club members who qualified for the Trials. The best finish by one his teammates so far this week has been 30th by Notre Dame graduate Maddy Vonderhaar in the in the women’s 200 breaststroke. Meyer, a University of Arizona recruit, was a seven-time state champion in Kentucky high school swimming. At this year’s state meet, he won gold medals in the 200 and 500-yard freestyle events along with the 200 and 400-yard freestyle relays. Tom Thacker, a standout basketball player at William Grant High School in Covington during the late 1950s, will be inducted into the Kentucky High School Basketball Hall of Fame during a ceremony on July 9 at the Historic State Theatre in Elizabethtown. Thacker is one of 17 former players and coaches to be inducted this year. He played on the first three William Grant teams that made it to the 9th Region tournament after segregated schools for African American students were included in the state playoffs. The Warriors compiled a 7-1 record in those three regional tournaments, winning back-to-back titles in 1958 and 1959. Thacker scored a total of 160 points in the eight regional games for a 20.0 average. In the 1959 state tournament, Thacker scored 35 and 34 points in his final two high school games and was named to the state all-tournament team. He went on to play on two NCAA championship teams at the University of Cincinnati. Tickets to the hall of fame induction ceremony are $30. A reception will begin at 5:30 p.m. and the program is scheduled to start at 7:30 p.m. An order form for tickets is available on the khsbhf.com website. Ron Dawn, the new principal at Newport Central Catholic, is a familiar name to local high school basketball fans. Dawn is the only coach to win 9th Region championships and All “A” Classic state championships in both boys’ and girls’ high school basketball at NewCath. He compiled a 495-204 record in 38 seasons as a varsity basketball coach. The Diocese of Covington appointed Dawn as interim principal at NewCath for the 2016-17 school year. 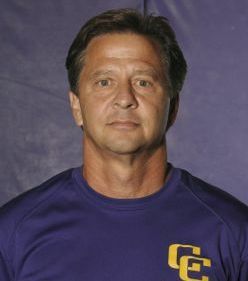 He has been a teacher, coach, athletic director and dean of students during his 34 years as a faculty member. Mr. Bankemper is quite humble. Anyone that knows him, which is quite a few, knows how special he truly is and just how much he gives year after year. Northern Ky. Is blessed with MB’s special gift to wrestling and the growth and education of young people.